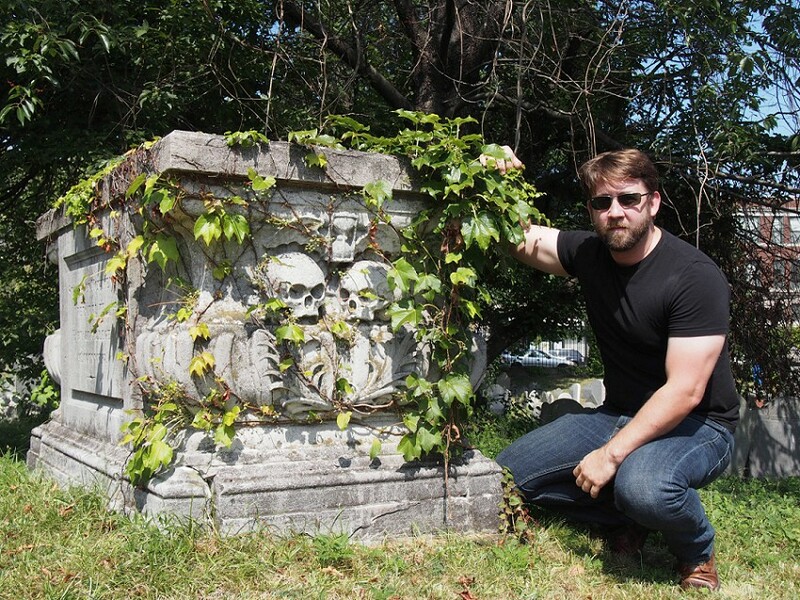 September 20, 2014 — I’ve always wanted to visit a villain’s tomb that matched the villain it marked. 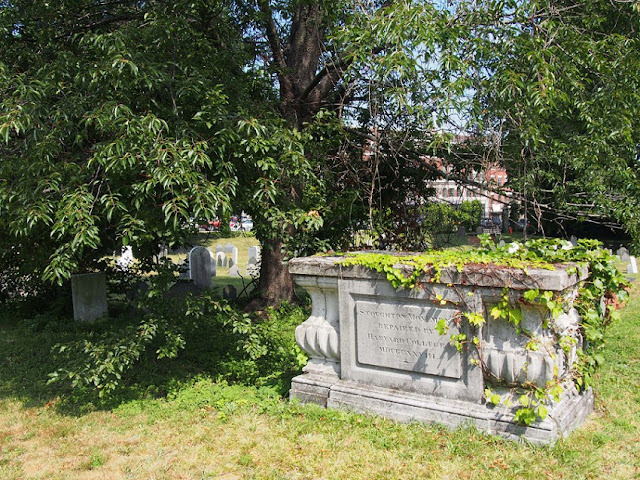 I mean, I’ve been to infamous graves—for instance, the plaque that marks the grave of Boston Strangler Albert DeSalvo and the white military stone that memorializes the cannibal Alferd Packer. But those graves, like most, were boring. I’ve also been to creepy, evil-looking graves, but those always seem to be of regular people whose stones have merely been transmographied by age or are the innocent products of a previous culture. Recently, though, I got really close. And it was the grave of a witch trial judge. The Salem Witch Trials are shades of gray overlaid so many times that black patches appear here and there. To call anybody a villain in that tragedy is to ignore many factors of humanity, culture, religion, history, and environment. Still, it’s tempting to have bad guys in the story, and if one had to assign blame, it would go to the magistrates, those judges who had the most influence, the most power, and were the ones who had final say over whether an accused ended happily or at the end of a rope. In fact, this is how the Salem Witch Trials eventually did end, with magistrates telling everybody to stop being silly, go home, and concentrate on working out the finer points of Thanksgiving. But perhaps the worst among the judges (and if you were ruling out religious rabble-rouser Cotton Mather for not being an actual judge) is William Stoughton. Now, in dramas about the trials, John Hathorne usually gets the twirly moustache and black cape, but he, while probably being a harsh zealot in a land of them, was only part of the preliminary questioning. He never directly sent anybody to their death in these trials. Of course, had he been a bit less of his time, the Court of Oyer and Terminer may not have happened. But you could say that of a lot of the participants in the early days of the hysteria. Stoughton was the Lieutenant Governor of the Massachusetts colony when he was appointed chief justice of the Court of Oyer and Terminer. Basically this guy was in charge of the Salem Witch Trials. Not only that but, during the second Court of Oyer and Terminer, the one that cleared pretty much everybody, he got pissed that people were being acquitted instead of sent to the gallows. He also never apologized for his role, although he lived almost a decade beyond the trials. After everybody involved went their awkward way, Stoughton prospered. Most of the judges did. They were wealthy men of high standing already and continued to be so afterward. He even went on to become the acting governor of the Massachusetts colony the year before his death in 1701. Stoughton, Massachusetts, is named after him. 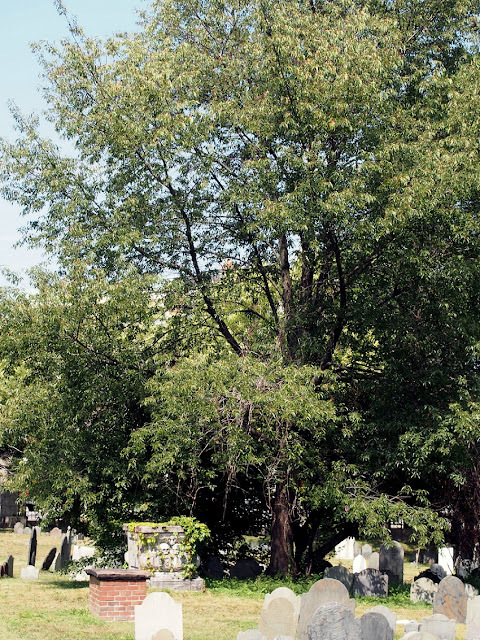 But he didn’t die in Stoughton, he dusted in the Dorchester neighborhood of Boston and was buried in the North Burying Ground, which dates back to 1634. These days, the area is extremely urban. The cemetery sits at the busy intersection of Columbia Road and Stoughton Street (natch), with a bus stop right outside its front gate. 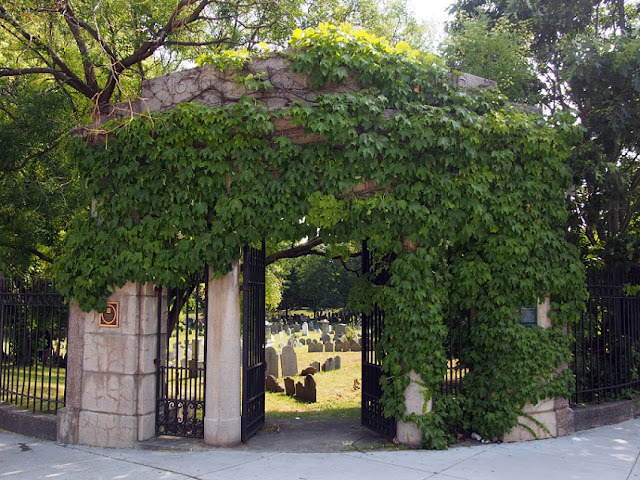 The place is so urban, in fact, that they keep it locked at all times, unless you call the group in charge of it reasonably far ahead (Mount Auburn Cemetery, actually, at 617-635-7361). 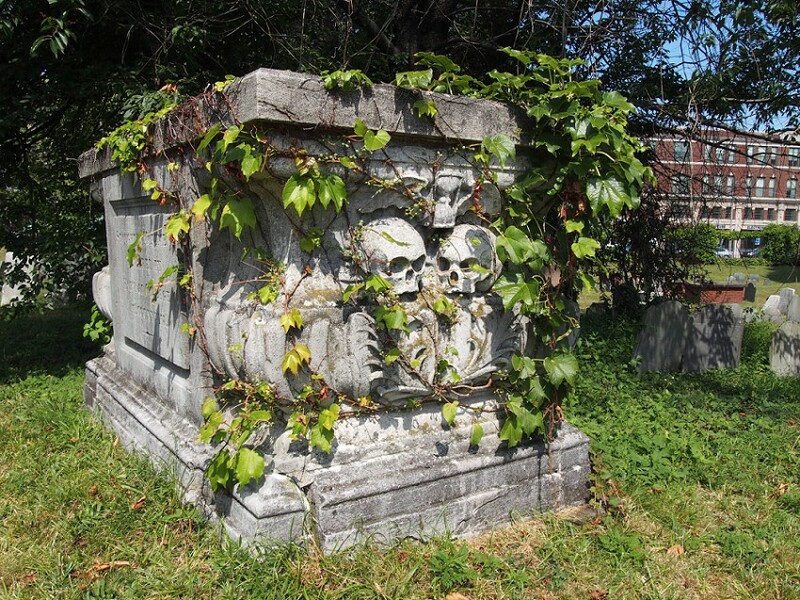 But the reason I’ve always wanted to see Stoughton’s tomb wasn’t so much his involvement in the Witch Hysteria, but because of his skulls. I originally made the trek to his graveyard back in 2009, but didn’t know about the call-ahead policy at the time, so I got a gate to the face. Since I have a phone phobia, that meant something bigger than my neurosis would have to force me to call. Like now, six years later, my Salem book project. So I called in advance and arranged to have the gates open. It was a painless, 20-second conversation, and when I arrived on the appointed day, I was surprised to see about a dozen people inside, taking advantage of the suddenly opened cemetery. And I was doubly surprised that none of them were near Stoughton’s tomb. The North Burying Ground is a relatively small cemetery, but large enough to ramble in. Stoughton’s tomb is not far from the entrance, although it is hidden beneath a massive tree and covered in creepers (as any good villain’s grave should be). The marker was rectangular, like a chest, about three feet wide, six feet long, and four feet tall. In a previous century, his tomb had a 170-word Latin epitaph apparently adapted by Cotton Mather from the tomb of French scientist and philosopher Blaise Pascal. 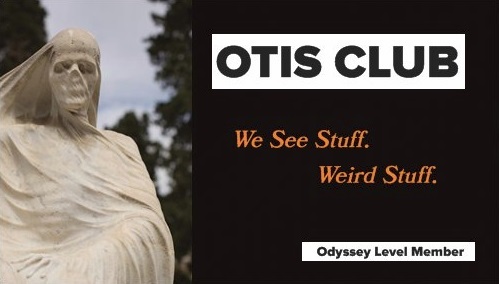 We still have a written record of it, and it basically beatified the man, “Devout in Religion, Renowned for Virtue, Famous for Erudition, Acute in Judgement, Equally illustrious by Kindred and Spirit, A lover of Equity,” etc., etc. Not “Dude Who Got the Witch Trials Wrong.” So not exactly a villain’s epitaph. But I’ve never seen an epitaph I could trust anyway. Stoughton was a Harvard graduate and a prominent donor. He has a hall named after him there to this day. The opposite side of the memorial was blank. One of the shorter sides bears a coat of arms complete with a knight’s helm. And on the opposite side from that…was a pair of skulls. Now, I’m not talking the usual (and amazing) New England folk engravings of memento mori. I’m talking two large, realistic, beautiful skulls, almost 3D, backed by crossed bones and topped by a bat-winged hourglass. So perfect. Instantly one of my favorite graves in all of New England. I mean, I could see it as a prop in a story about an ancient, evil sorcerer inadvertently raised from the dead by some curious boy who just moved to town and didn’t believe the legends and was just trying to impress a girl. And if I can describe your grave that way, I’m going to high-five you even if you did help doom 20 innocent people to death. I’ll just follow it up with a wagging finger. This is the worst paragraph I’ve ever written. But if you ever get up the courage to call ahead to the cemetery yourself, don’t stop at Stoughton. 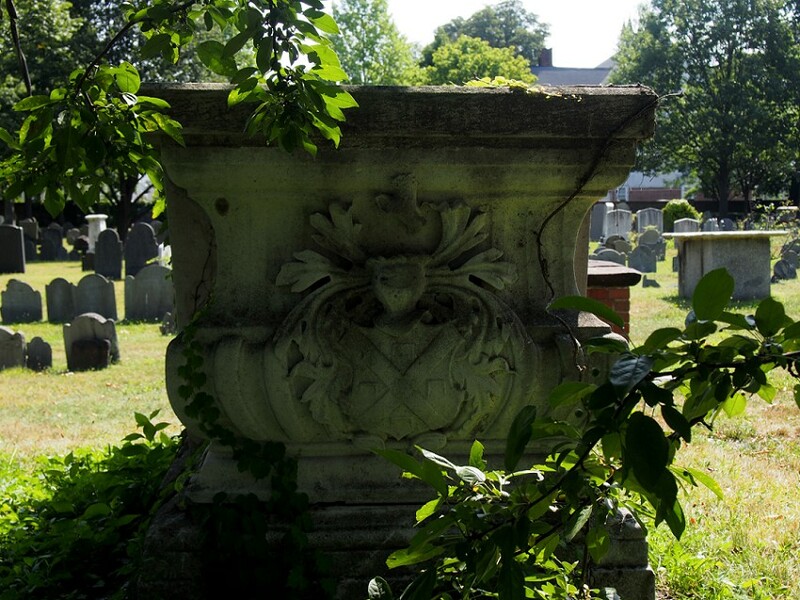 He’s the highlight for sure, but the rest of the cemetery is well worth a wander with ancient stones and funerary iconography and tombs enough to make you forget all the traffic noises around you.